For smooth and comfortable hedge trimming at home, less is more. 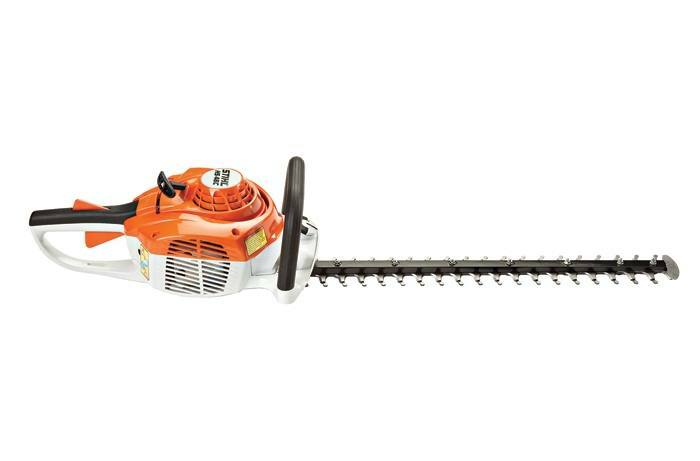 And the STIHL HS 46 C-E is a lot of less: Less weight - this well-balanced trimmer is the lightest gasoline-powered hedge trimmer in the STIHL line. Less emissions - compared to traditional 2-stroke engine technology. Less fatigue - its advanced anti-vibration system reduces vibration levels by 40% compared to previous models. 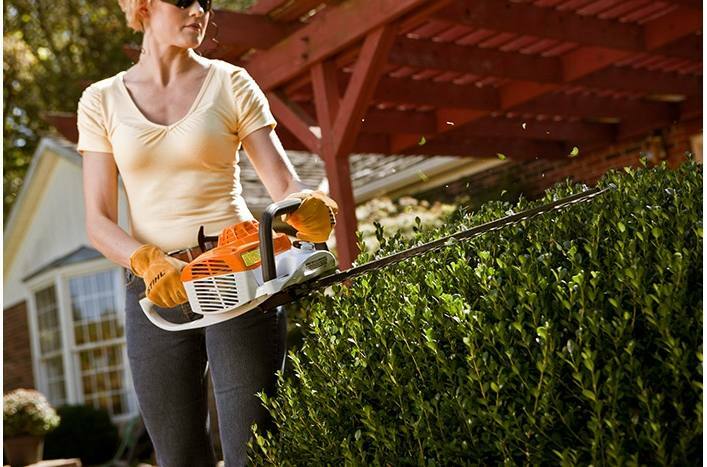 Less frustration - its Easy2Start™ technology makes starting the trimmer nearly effortless. Less weight and emissions. Less fatigue and frustration. Less IS more! Plus, an easy-to-access data port is integrated into the HS 46 C-E, allowing for simplified servicing at your local STIHL Dealer.